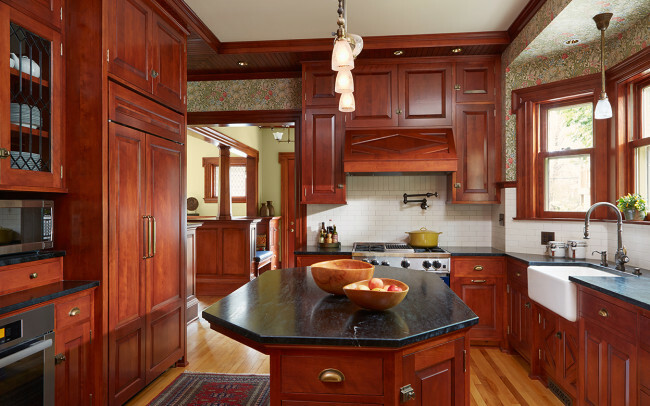 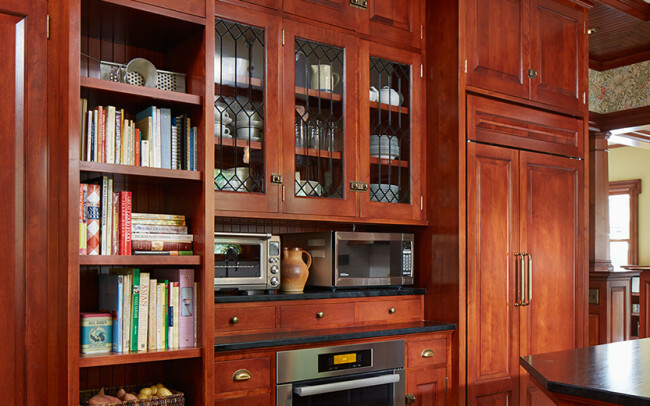 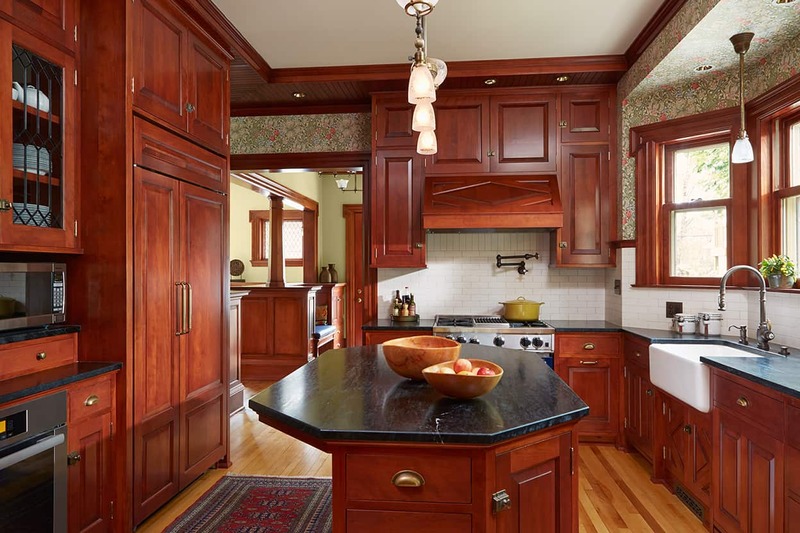 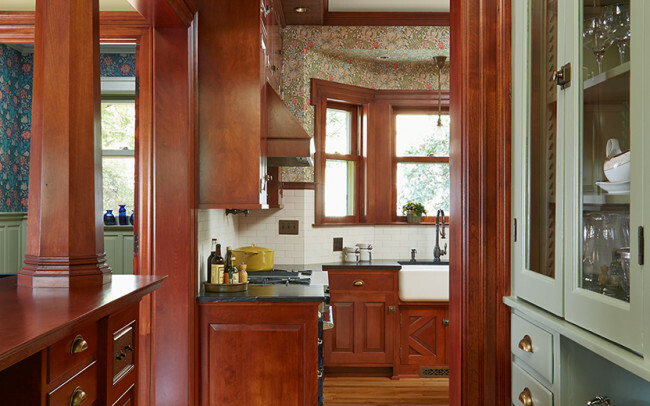 As the parents of three children, the owners’ goals for the remodel were simple: they wanted to improve the connection between the kitchen and family room, allowing the family to better interact with each other. 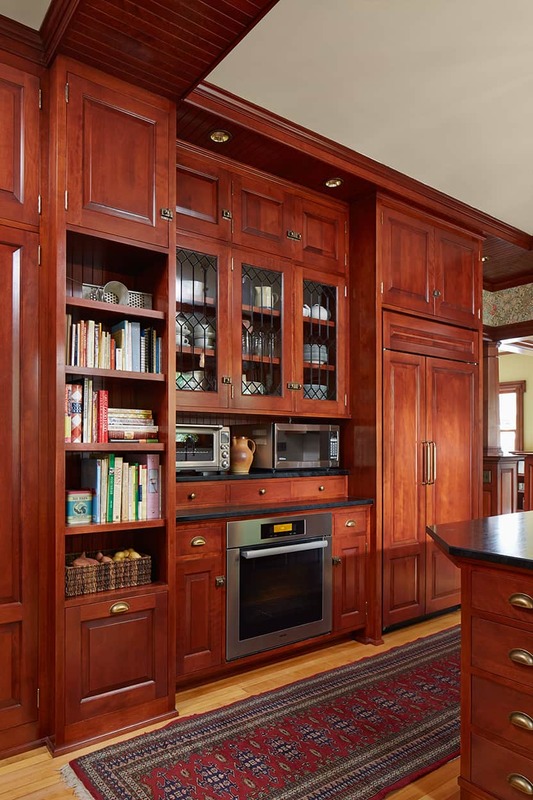 The family also desired a larger living area and a more functional back entry and closet that can accommodate the entire family at once. 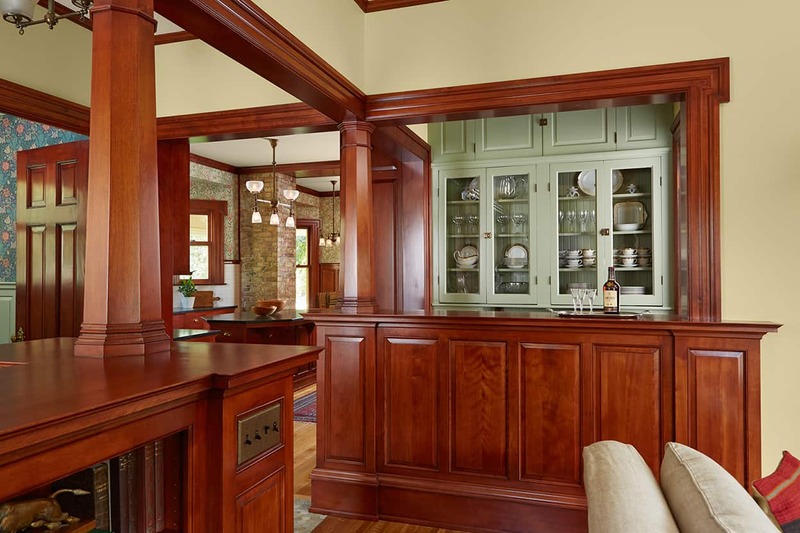 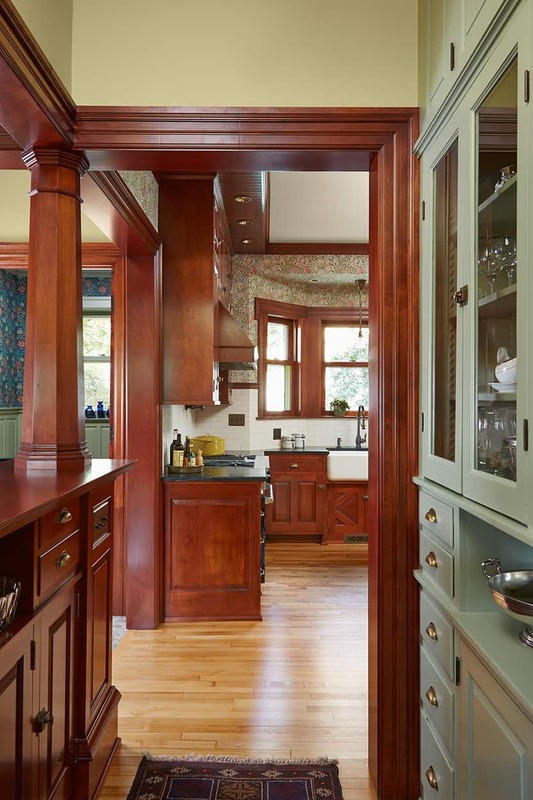 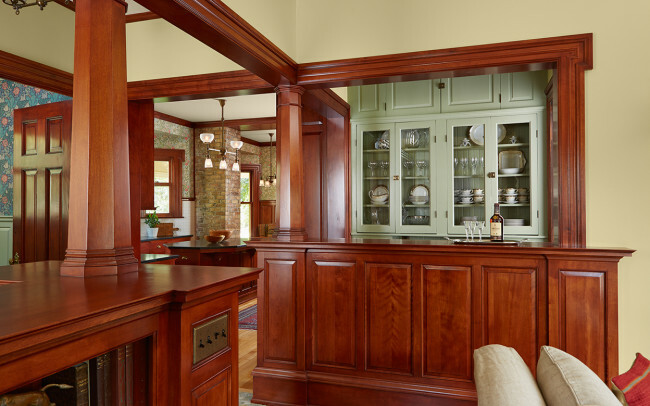 The improved connection between the kitchen and family room was achieved through the use of columns, which divide the spaces into distinct rooms and creating an open living area. 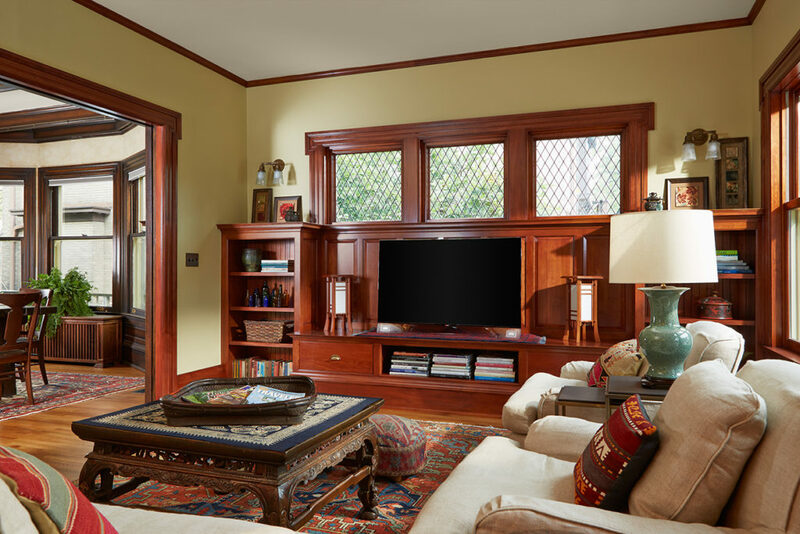 The scale of the light-filled addition was carefully considered to allow for backyard space and maintain the historic character of the house. 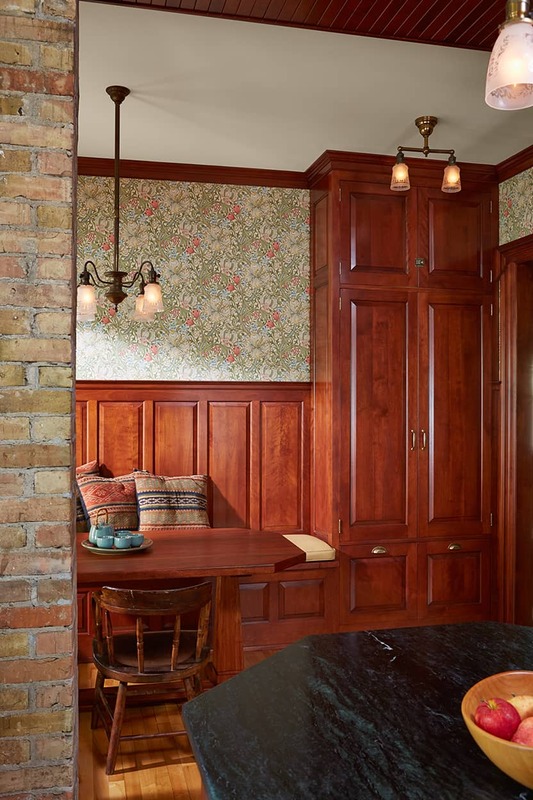 It was important to the clients to use salvaged materials, where possible. 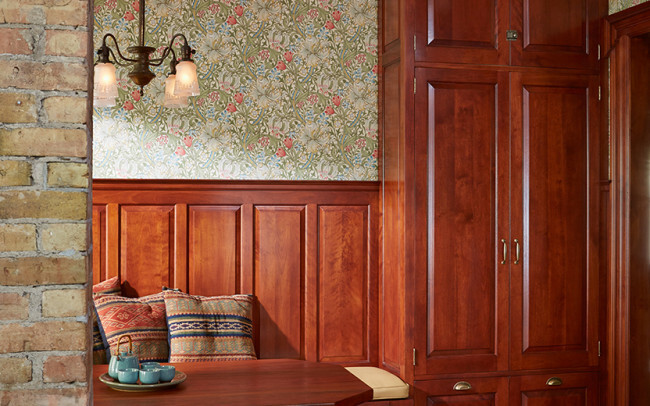 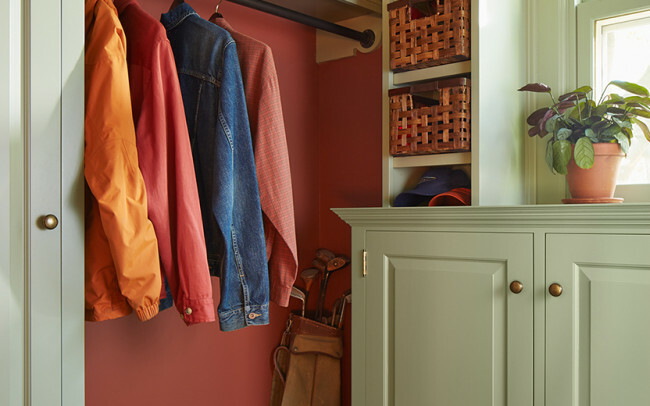 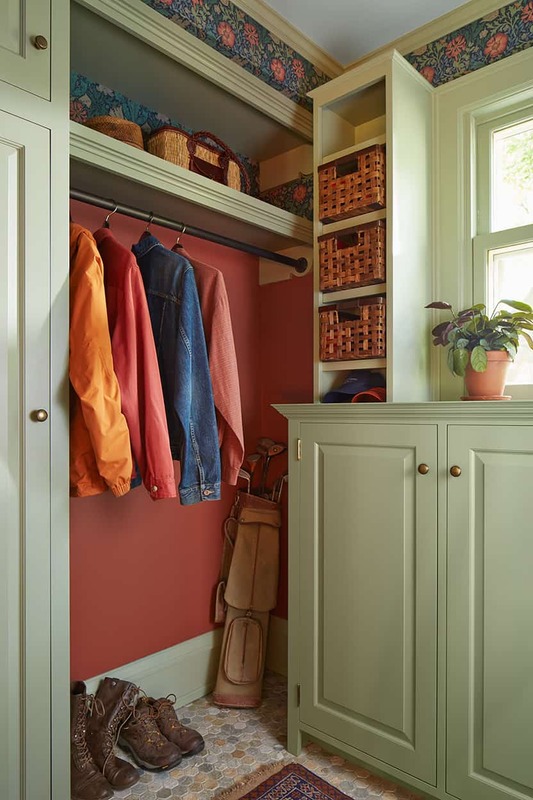 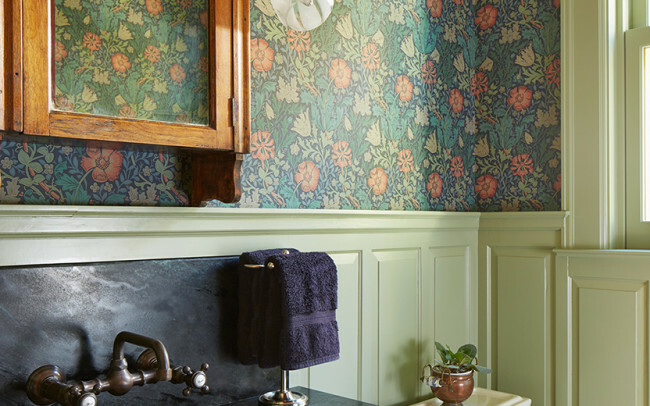 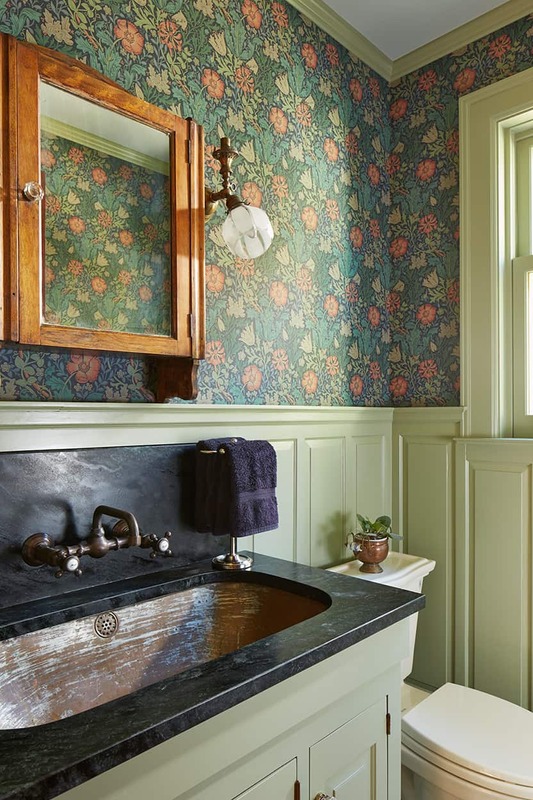 The powder room makes use of salvaged wainscoting, medicine cabinet, sink, lavatory cabinet, and antique light fixtures, all taken from the original house.